Long before my mother-in-law was my mother-in-law and before I knew the proper name of tchouchouka, I wrote about this star recipe, which always makes an appearance at my in-law’s. 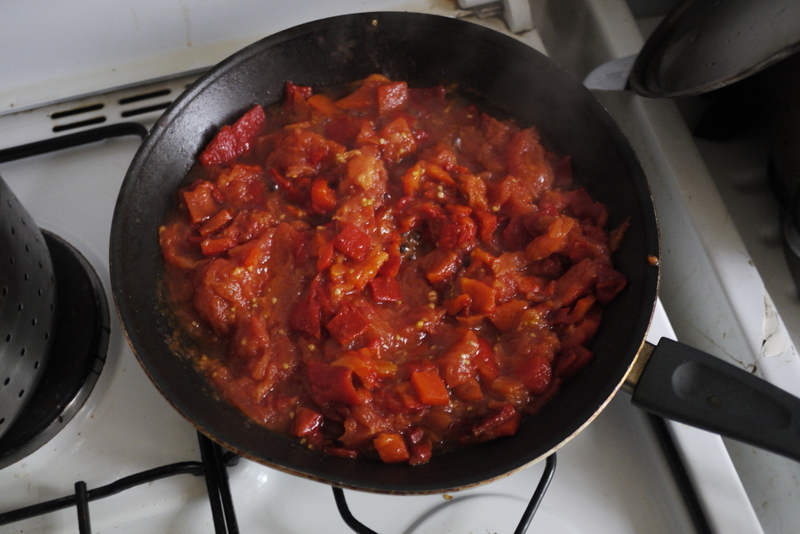 Traditionally, tchouchouka is a cooked Berber salad of red peppers and tomatoes. Although not traditionally French, it has become one of my fondest food memories of France. When I moved to France, I quickly learned that Sunday was the ultimate day of relaxation. I mean a ‘watching 3 movies, not moving the couch’ type of Sunday. And thanks to France, I was finally able to train myself to do this without feeling a drop of guilt. When I started seeing mon mari qui fume, I learned Sunday was the ultimate day of family, too. Whenever we weren’t glued to the couch or scavenging for food after everything closed in the afternoon, we were more than likely on our way to his parents’ place in the tony 16th arrondisement. Although they have recently relocated to Nice, making this salad reminds me of our times together. It brings me back to mortifyingly breaking the wicker chair I was assigned at our first dinner together. And piecing together what little charm I could in my limited French at the time. All embarrassment aside, I instantly appreciated these warm, patient, curious people who would soon become my family. And I remember tasting this deceptively simple salad for the first time. 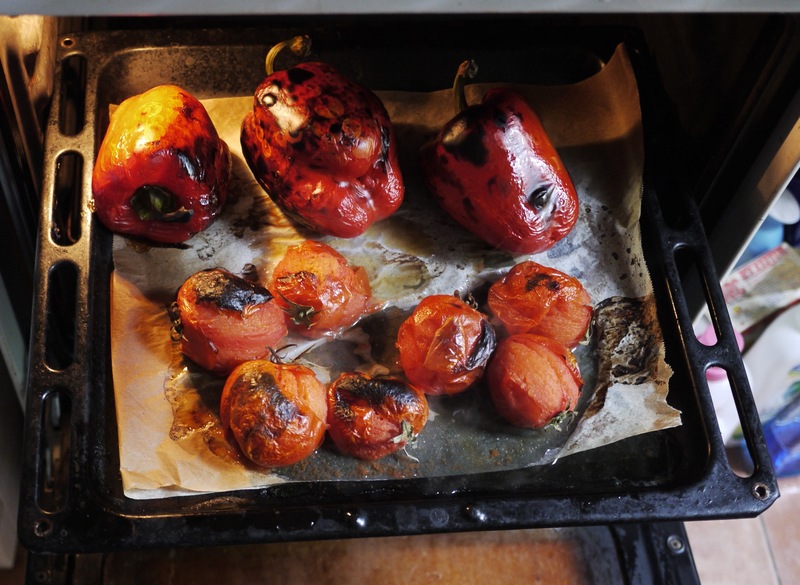 Made from 1 part red peppers to 1.5 parts tomatoes, the vegetables are charred and pealed, then cooked down with a bit of olive oil and garlic until they form a smoky and sweet confiture. Served as a first course with good bread, there is no better, healthier, or cheaper way to kick off an excellent meal among friends or family. 1.) 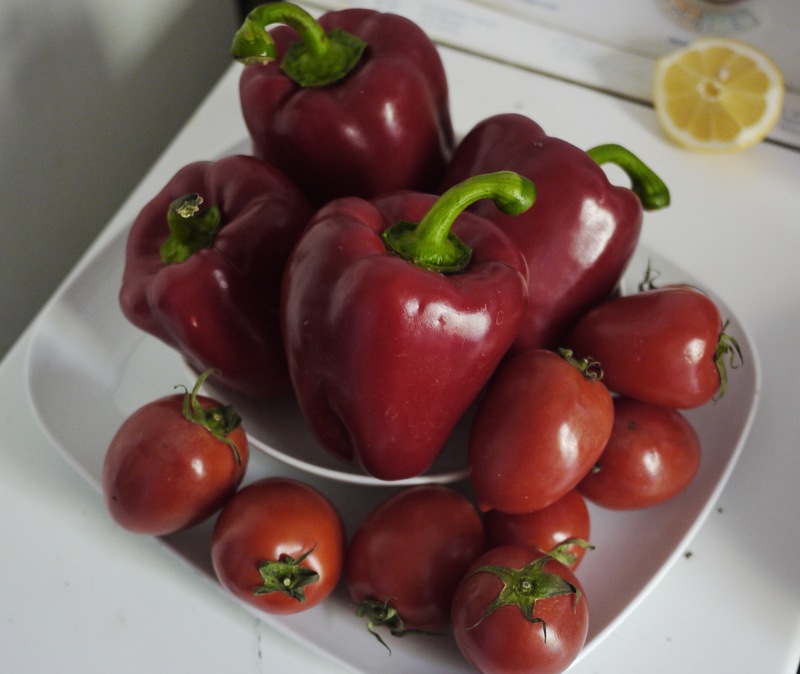 Place peppers and tomatoes on a sheet tray. Cook under broiler until blackened. Turn and repeat until all sides are charred. 2.) Let cool. Peel and de-seed peppers and chop into small pieces. Peel and chop tomatoes. In a saucepan, heat oil over a low heat. Add the peppers, tomatoes, and garlic. Simmer over a very low heat until thick and caramelized. Add salt and pepper to taste.